This podcast is dedicated to discussions and interviews with the fitness community's best science-based coaches, researchers and athletes. In this episode I'm speaking with Dr. Stephan Guyenet about the science behind what is driving fat gain. We also cover the "is a calorie a calorie" question, address the role of sugar/carbs in obesity and diabetes and the role of the brain in regulating all of this. In this episode I'm speaking with metabolism researcher Dr. Eric Trexler about metabolic slowdown, reverse dieting, metabolic damage, rapid weight loss, crash dieting, starvation mode and other topics. In this interview Dr. Bret Contreras and I discuss the value of the smith machine, whether you can maintain squat strength without squatting, "powerbuilding", the mind muscle connection, training to failure and new controversial research on training volume. #36 - Vegan Diet Science: Are Eggs Bad? Vegan Bodybuilding? Is Red Meat Bad? In this episode I'm speaking with nutrition researcher and Director of Examine.com, Kamal Patel. We discuss the ethics of veganism, the potential benefits of a vegan diet and its pitfalls. We also cover topics like eggs, red meat, processed meat, omega-3s, the carnivore diet, advice for vegan lifters and much more! How many SETS and REPS per week is best for hypertrophy? How HARD should you train? Train to FAILURE? How do you track volume? Dr. Mike Israetel, Phd and I try to answer these questions through conversation. Part 2 of my discussion with muscle metabolism researcher Jorn Trommelen. Here we cover how to diet to maximize muscle protein synthesis. This is an audio repost from my interview on YouTube. 1:38 The role of carbs (insulin) and fats in stimulating MPS. Is insulin anabolic? 20:21 Does protein intake depend on lean body mass/body weight? What is the “muscle full effect”? 52:52 Is there a “refractory period”? 1:03:35 Protein before bed? How much and what type? 1:09:56 What about a protein feeding in the middle of the night? Jeff and muscle metabolism researcher Jorn Trommelen discuss ways to train to maximize the muscle protein synthetic response. This is an audio repost from my interview on YouTube. 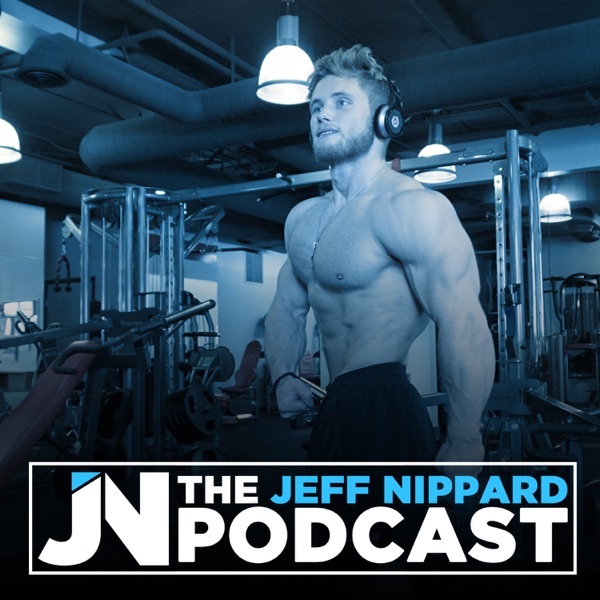 Alex of Alpha Destiny and Jeff discuss "bear mode", why being at a higher bodyfat percentage can make you look more impressive as a natural, body recomposition, "nucleus overload", and specific training strategies for growing the neck and traps. Please leave a rating and review on iTunes! I hope you like the episode! In this episode, scientific fitness author Menno Henselmans discusses with Jeff the natural muscular potential of women and training and nutrition differences between men and women. In this episode, we interview Emily Duncan, nationally qualified NPC Bikini competitor and ISSN Sports Nutrition Specialist. We cover everything to do with sharpening your mental approach to training and nutrition, with some specific focus on the bikini athlete. In this episode, we discuss with Laurin her recently published research on inclusive vs exclusive dieting strategies and much more. In this episode, we host the most comprehensive discussion of training volume available anywhere with Mike Israetel, Eric Helms, Layne Norton and Greg Nuckols. In this episode, we host the most comprehensive Peak Week Roundtable available anywhere with contest prep coaches Cliff Wilson, Eric Helms and Jason Theobald. - how to deal with "spill over"
- how to know when someone is "ready"
-are there any natural testosterone boosters that work? -does red meat cause cancer? -is too much protein bad for health? How much is "too much"? -should we be supplementing fish oil/omega 3's? -are saturated fats unhealthy? What about trans fats? -what is the role of a diet high in vegetables in reducing risk of CVD? - Can you change your bodyfat set point? - Is there value in reverse dieting to maintain a goal bodyweight? - What causes a "slow metabolism"? - Does metabolic damage exist? - Why ISN'T volume the most important factor for growth? - Why do women tend to struggle with fat loss more than men? - Refeeding: How frequent and for how long? - Why the a "lag period" at the start of a diet? In this episode, we host the first ever Reverse Diet Debate featuring Eric Helms + Menno Henselmans (against) vs. Layne Norton + Peter Fitschen (for). - How does reverse dieting work in the absence of changes in body composition? - What are "adaptive metabolisms"? - Can you diet on higher calories in prep after a successful reverse? Does it "carry over"? - What is the role of NEAT in reverse dieting and metabolic adaptation? - Is there value in increasing calories in the off-season (not post show)? We hope you enjoy the debate! -how many sets are best for maximizing hypertrophy? -is there a point at which adding more training volume is detrimental for gains? -how important is training to failure? -is it better to space volume out across the week with higher frequency training or have more per-session volume? -will he ever go for an IFBB pro card? -how often does he train to failure? -what are Doug's off-season macros? -how frequently should you train a bodypart? -is it beneficial to periodize frequency across the training year? -how big is the anabolic window really? Interested in learning Menno's full Bayesian Bodybuilding method and become a certificed Bayesian trainer? Have a look at his PT Course. -how often should you be max testing or AMRAP testing in training? -how much drug use is there in the IPF? -should you be training to failure? -is it better to slowly cut bodyfat or rapidly cut water to get in a weigh class? -how should you structure your last 4 weeks of training in a peaking cycle? -what should your meet week look like? -how long should your contest prep diet be? Please support us by leaving a nice rating/review on iTunes. Hope you enjoy the show! -is it possible to change your setpoint? Check out the Strcng BLOG! Jeff, Robin and Bryce discuss topics around measuring progress, dealing with injuries, sustainability and extrinsic vs intrinsic motivation. Jeff, Robin and Andrew delve into the anatomy and biocmechanics specific to the hamstrings and implications for training as well as EMG research and the hamstrings' involvement in a variety of exercises including the squat and deadlift.